Two days ago Boo trembled in fear at our introduction. Today he curled up beside me and slept with his head on my chest. 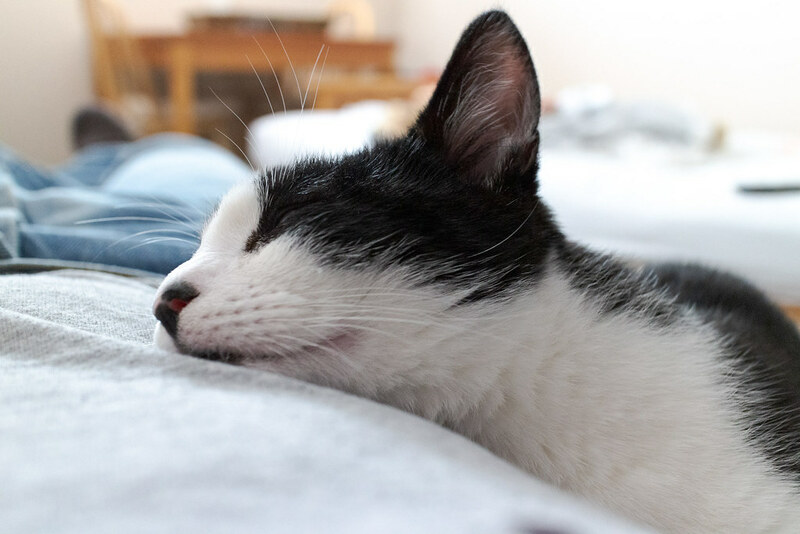 This entry was posted in Pets and tagged black-and-white cat, Boo, cat, kitten, sleeping, snuggling. Bookmark the permalink.